Please join us for the tapping of our first commercially available beer! 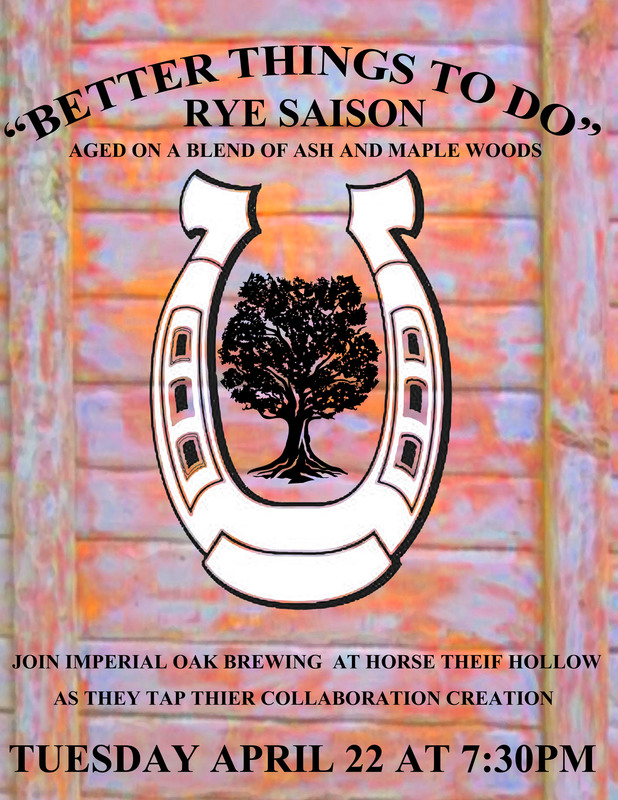 The collaboration beer we brewed with Horse Thief Hollow will be tapping on Tuesday April 22nd at 7:30 pm. Click on the link above for Horse Thief Hollow’s location and more information. Hope to see you there! Collaboration, Horse Thief Hollow. Bookmark.